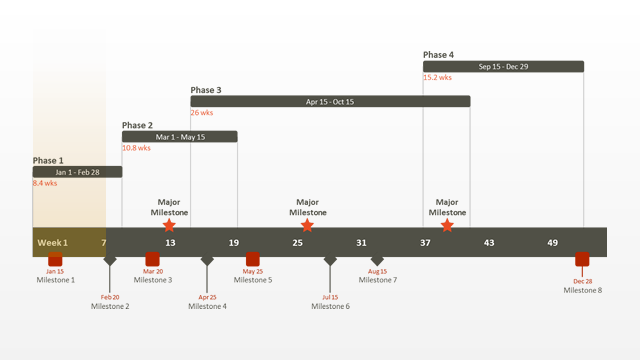 To make a timeline chart from scratch in PowerPoint requires effort and a lot of patience. The free timeline chart that was created as an easier way to make timelines for clients and executives. It was designed to be simple to understand, and easy to present in an impressive and visual way. 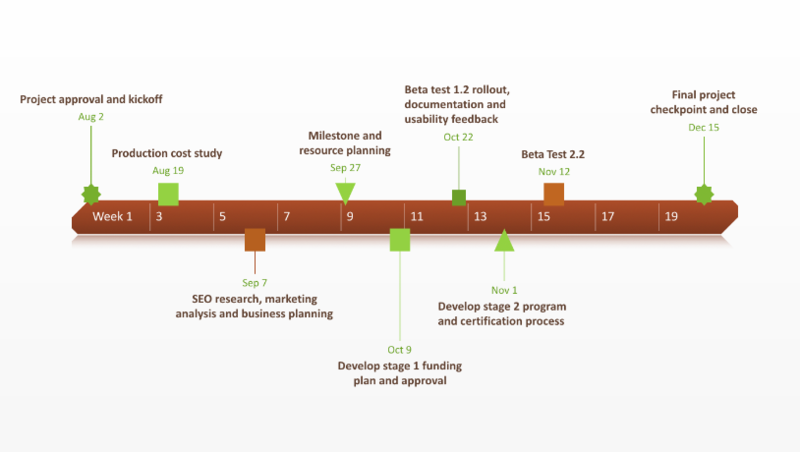 Project management software and project planning software create complicated timeline charts made from lists of tasks. 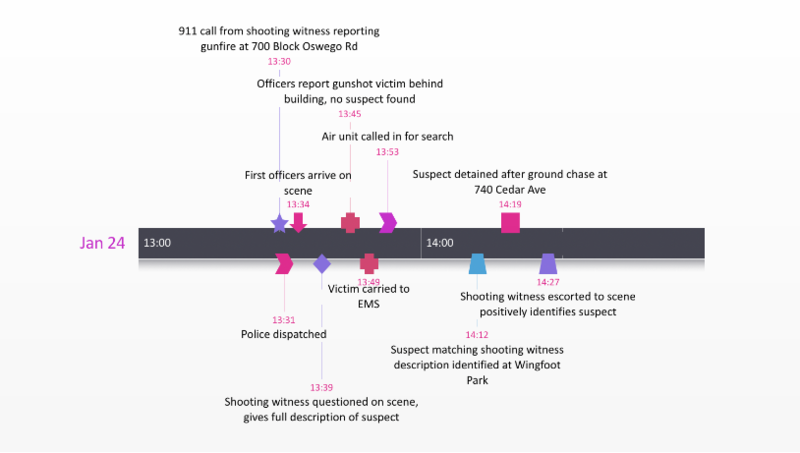 That type of detailed timeline chart is suitable for project teams, however they are difficult to present to audiences who need a high-level timeline that is visual and intuitive. Customers and executives expect to see visual timeline charts in a way that is familiar to them. They also expect to be able to edit timeline charts or include them in their own scorecards and presentations. The free timeline chart is a timeline template that anyone can edit, use and share with peers, customers, partners or management. Once downloaded, the timeline chart template can be edited with Microsoft PowerPoint. 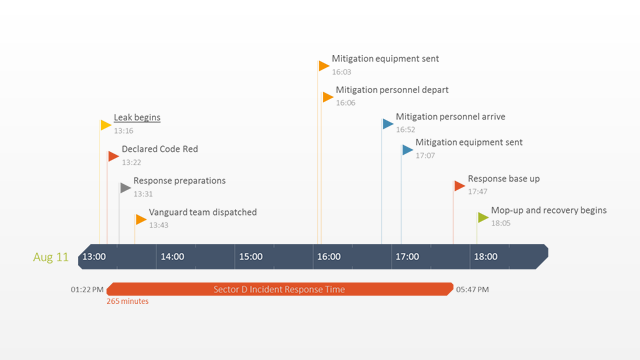 Using PowerPoint, colleagues and other team members can also contribute in creating timeline graphs. Any of PowerPoint’s native controls can be used to manually change all of the objects on the template. 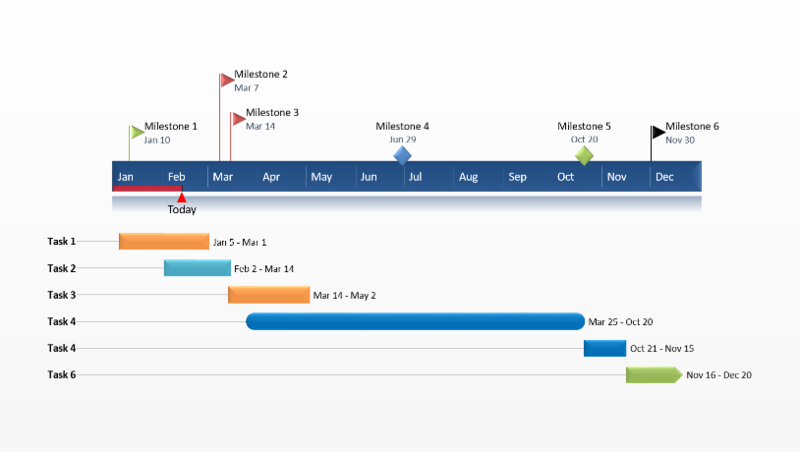 The timeline chart was created with Office Timeline, a free timeline maker that plugs natively into PowerPoint. You can use Office Timeline’s automation to quickly update the template’s placeholders with your own schedule. You can also instantly change any dates, objects, shapes and styles with a few clicks from the Office Timeline ribbon inside PowerPoint. If you use a project planning application, Office Timeline Plus Edition integrates with tools like Microsoft Project or Microsoft Excel, so users can create timeline charts in PowerPoint within a few seconds. The timeline graph maker will import your data and transform it into a impressive timeline chart in just a few clicks.